Your wedding day is going to be one of the most important days in your life. Getting your wedding event to go without any issues can be challenging but not impossible. You also want to take time to put a professional portal together to let your friends and family members know about your event. 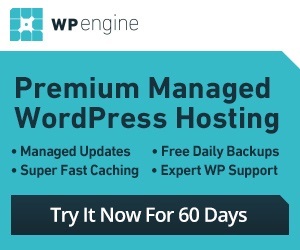 Wedding for WordPress is a theme designed specifically for this job. 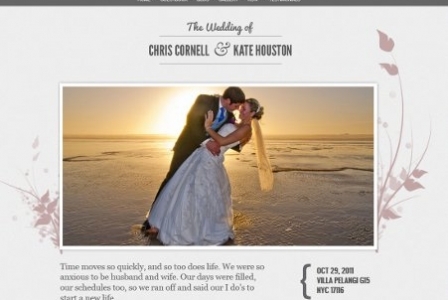 The Wedding theme lets you share your story with the world. It has a minimal design but is more than capable of handling the job. You can use it to share photos from your event with the world. You can also provide your visitors with RSVP information, a gallery, a guestbook, and everything in between on your site.The theme has multiple category and page layouts. It also has controllable sliders. 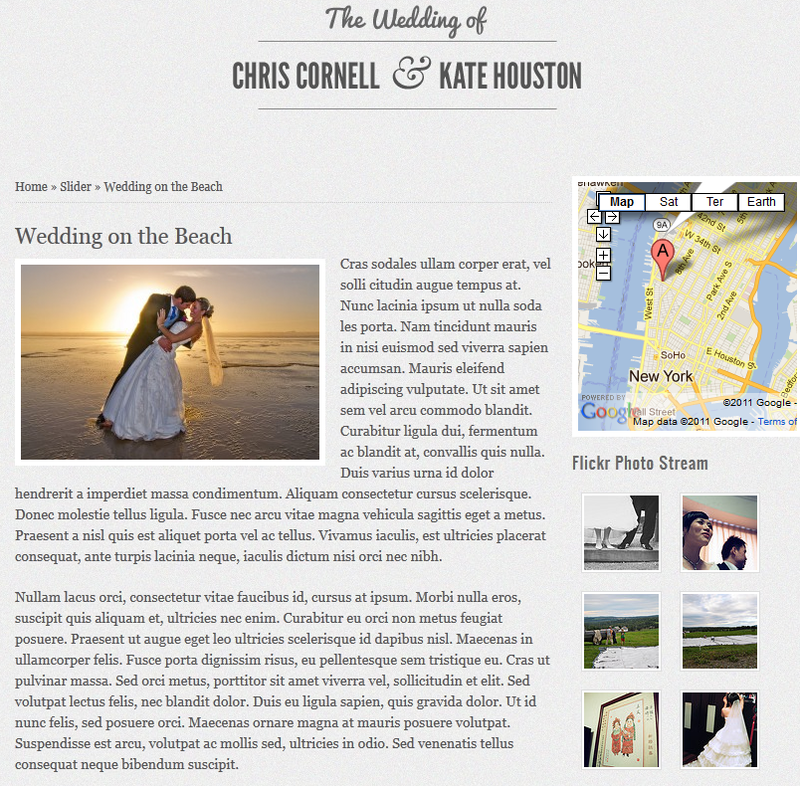 The Wedding theme is highly customizable and is SEO friendly. It has a decent control panel too. A pretty decent theme to put your wedding site together.